The YMCA (Young Men’s Christian Association) is one of the oldest and largest Movements for youth in the world. Founded in 1844, it now operates in 119 countries, reaching 58 million people, bringing social justice and peace to young people and their communities, regardless of race or religion. Finland YMCA was founded in 1889 and began its international social work by helping refugees after the Second World War. In 1979 it began working in Africa and recently established partnersh with Lebanon. YMCA Finland has been doing development cooperation work for thirty years (1979). Projects (10) have been carried out with the Gambian YMCA and they have been in the sector creating employment for youth and developing the positive use of free time. It is estimated there are 1.1 million Syrian refugees registered with the UN in Lebanon, and the number of unregistered refugees is estimated to be much higher. The majority of refugees in Lebanon are concentrated in the North and in the Bekaa Valley which are characterised by already vulnerable communities and a waning sympathy from host communities. Growing resentment on the part of Lebanese host communities, and increasing frustration on the part of Syrian refugees, is resulting in building tension. The aim of this project is to mitigate the negative impact of the Syrian crisis on refugee and host communities in Lebanon through youth empowerment. Youth in particular, often fall through the cracks of humanitarian and other development programmes (which often target children under 12). The project will improve livelihood prospects of young people through the provision of skills training appropriate to the context. Further, the project aims to strengthen a positive interaction between refugees and their hosts. This will take place through community bridge-building activities, which will also act as a psycho social support. The livelihood trainings will be planned together with the beneficiaries in order to meet their actual needs. Learning and doing together best dispels tension and prejudice between groups. Also, tension within the host community will be greatly reduced when livelihoods are created. The goal is that the host community will see the richness and added value of their new ‘guests’. Beneficiaries will be selected from the most vulnerable. The criteria used are their economic status, gender, disability, and excluded status. The implementers are YMCA Finland and YMCA Lebanon. YMCA’s headquarters are in Geneva and has close ties with UNHCR and other global actors. Activities are based on learning from previous interventions by the Lebanon YMCA and a needs assessment undertaken with young people in the target areas. 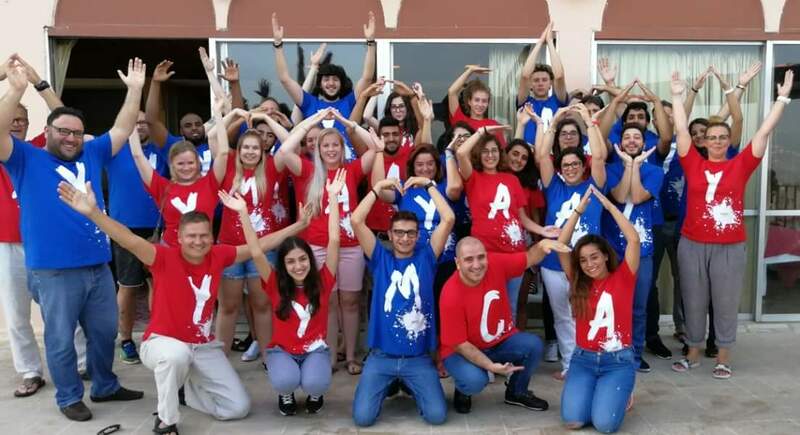 Finn Church Aid (FCA) will be a key partner, with experience of the Syrian refugee crisis, as will Y Care International (YCI), a UK based NGO with previous experience of partnering with YMCA Lebanon, who will provide technical support.